Includes Part A, Part B, and usually Part D (Medicare prescription drug coverage). In addition to covering everything that’s included in Medicare Part A and B, Medicare Advantage Plans generally offer additional coverage, including dental, hearing, vision, Medicare Prescription Drug coverage, and other health and wellness services through an HMO or PPO network of heath care providers. You can go to any hospital, doctor, or health care provider in your network’s plan. Depending on which plan you choose, you may also be able to go to those who are out-of-network. Is there a monthly premium? There may (or may not) be a monthly premium for your Medicare Advantage plan in addition to your Part B premium. Prices will vary depending on the type of plan you choose. Just click on the word.... Medicareful. although you will generally pay less if you go to a doctor, hospital, or other health care provider in your plan’s network, you have the option of going to an out-of-network provider. You do not need to choose a primary care physician, and, in most cases you do not need a referral to see a specialist. 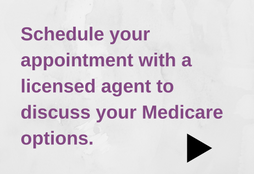 you can generally go to any Medicare-approved doctor, hospital, or health care provider who accepts the plan’s payment terms and agrees to treat you. If your PFFS plan has a network, you can see any in-network provider or out-of-network provider who has agreed to treat plan members. Some PFFS Plans do NOT include prescription drug coverage. If not, you may need to purchase a Medicare Prescription Drug plan. this is for people who require specialized health care, such as those who live in a nursing home, have chronic health conditions, or who are on both Medicare and Medicaid. You will generally need to select a primary care physician who can refer you to a specialist in the network, if/when one is needed. Medicare Prescription Drug coverage is included in this plan. Who can Join a SNP. To find out more about Special Needa Plans visit our Blog Posts. Medicare Advantage Plans usually contain Prescription Drug Coverage If you enroll into a Standalone Medicare Prescription Drug plan while you are enrolled in a Medicare Advantage Plan it will dis enroll you from Your Medicare Advantage Plan and put in back into Original Medicare.